Insert on individual slide or all slides. Play/pause with a single click. Reset with a double click. Color changeable for text and background of the stopwatch. Place at any location on the slide. Step by step instructions included. Online chat and email support provided. 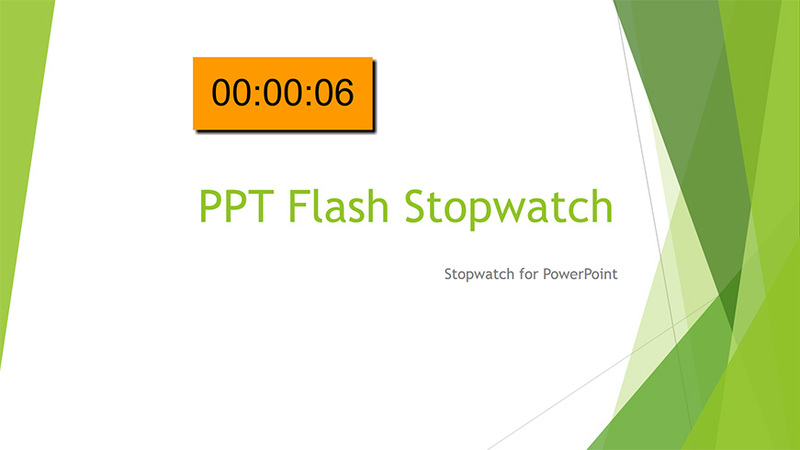 Some versions of flash player doesn’t work well on PowerPoint. If you have problem using the timer, please update your flash player to the latest version by visiting https://get.adobe.com/flashplayer/ with Internet Explorer browser and follow the onscreen instructions.